Steven Roper started work with Ward Hadaway as a paralegal in 2007 and joined the firm’s Commercial team when he qualified as a solicitor. Colin Hewitt, who heads up the Commercial team at Ward Hadaway in Newcastle, said: “We are pleased to congratulate Steven on his achievement in becoming partner. His appointment recognises the talent and work ethic which makes him a central part of our team. Richard Greensit has been promoted to further strengthen Ward Hadaway’s Healthcare team, which now has eight partners in it. Richard specialises in advising NHS Trusts and NHS Resolution in the defence of clinical negligence claims. He recently transferred to the firm’s Leeds office to further develop the firm’s healthcare practice in Yorkshire. Richard joined Ward Hadaway as a trainee solicitor in 2008 before joining the firm’s Healthcare team in 2011. Martin Hulls, Ward Hadaway’s Managing Partner, is confident the promoted lawyers will make a significant contribution to the future success of the business. He said: “These promotions are well deserved and reflect their hard work, dedication and enthusiasm. Our people really enjoy what they do and it’s great to see them continue to develop professionally and personally at Ward Hadaway, whether they joined us as trainees or later in their career. 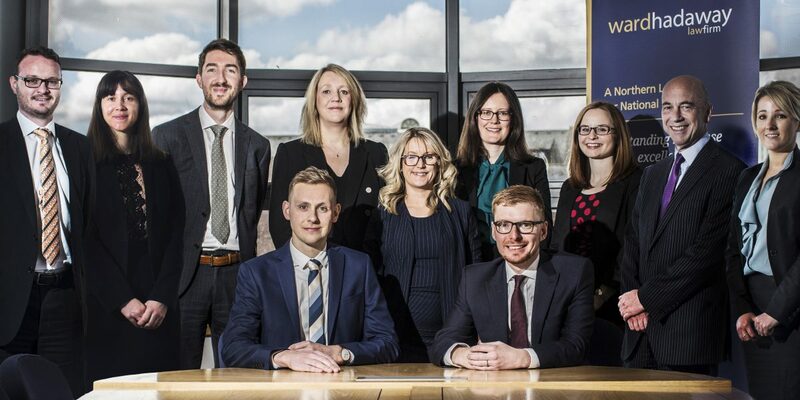 These promotions recognise the fantastic contribution these lawyers have made to the firm and further strengthen the business for the future."